Click to download a copy of this short tree trail around Wenvoe which describes over 30 types of tree you can find in the centre of the village. NEW: updated version with numbered maps and a tree name index. Print out and use for a self-guided walk. If you have any questions or suggestions about the trail please let us know via the Contacts section. 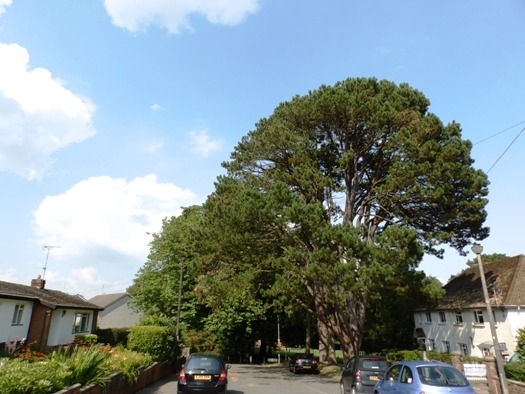 Wenvoe is blessed with a wide variety of different trees so in this short Tree Trail we hope to introduce you to over 30 of these. 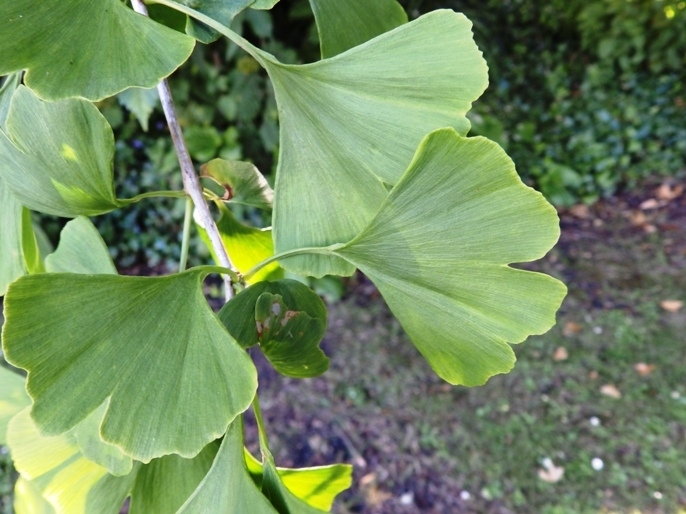 We tend to distinguish between 'native' trees - those that grow wild in the countryside like Oak and Birch and specimen trees that have been brought from abroad or developed for parks and gardens. On this trail you will see examples of both. All the trees are clearly visible from the pavements or public areas. Please respect people’s privacy. Start the trail from the entrance to the school in the middle of the village on Old Port Road. Look around you. In the school grounds are some mature trees. Grange Park on the other side of the road has some very large trees – we shall finish the walk in the park. Let's start with the school grounds. The large tree just to the right of the school entrance gate is a Purple Beech not, as many people say, a Copper Beech. Next as you head along the pavement to the right is an evergreen - a Lawson's Cypress - you can tell it from the notorious Leylandii because Lawson's has leaders (the tips of the shoots) that droop. There is another one at the top of the steps by the Community Centre. Then we have three Oaks, probably English or Pedunculate Oaks which have short stalks on the leaves and long stalks on the acorns compared with the Sessile Oak which has exactly the opposite. Next to the oaks and not that obvious except in Spring when the long tails of blossom hang down is a Bird Cherry. This grows in the wild, particularly in hilly areas such as the lower Brecon Beacons. The fruit, which look like black cherries, are bitter to us but birds love them. Now head to your left down Station Road and after just 100 yards, you will see a tree on your right overhanging the pavement with pale bark. For much of the year you will see round green fruit on it - this is a Walnut. Head back up Station Road to the junction and on your left a large white building, the Village Hall. Just over the cast-iron arch is a Common Whitebeam, Sorbus aria, but this is a frequently planted clone known as Lutescens. Go through the arch to the right of the building where you will find a nice little mix of trees. On your right are two rotund Bay Trees with glossy green leaves - the tree from which you get your Bay leaves for cooking. Between them is a tree looking like a Christmas tree, a Norway Spruce, although these days there are also many other varieties of conifer sold at Christmas. The vein-joints underneath the leaves have rufous (reddish) tufts of fine hairs – they are buff on the Common Lime. To the right of this tree and growing just beyond the grounds is a Sycamore with 5 points to the leaves. These are common in Wenvoe and the surrounding countryside but can be confused with another frequently planted tree, the Norway Maple. 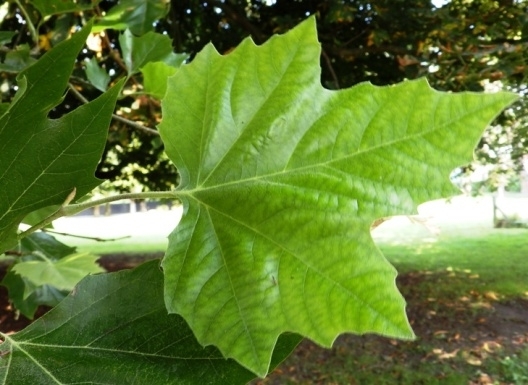 However if you break off a leaf of this maple a milky sap should be evident – there is no sap with the Sycamore. Note that the Field Maple, very common in our countryside but with smaller leaves, also exudes sap. The hedge below the Sycamore is largely composed of Sycamore so you can try out the sap test on these. Just to the right of the lime is a small Japanese Flowering Cherry. 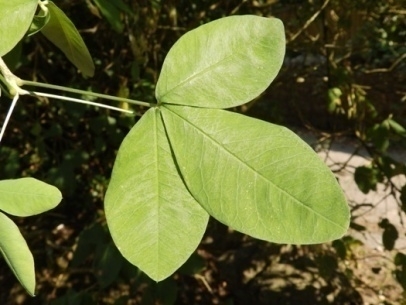 The Latin name includes the word ‘serrulata’ which means serrated like a saw – look closely at the edge of the leaf to check this. 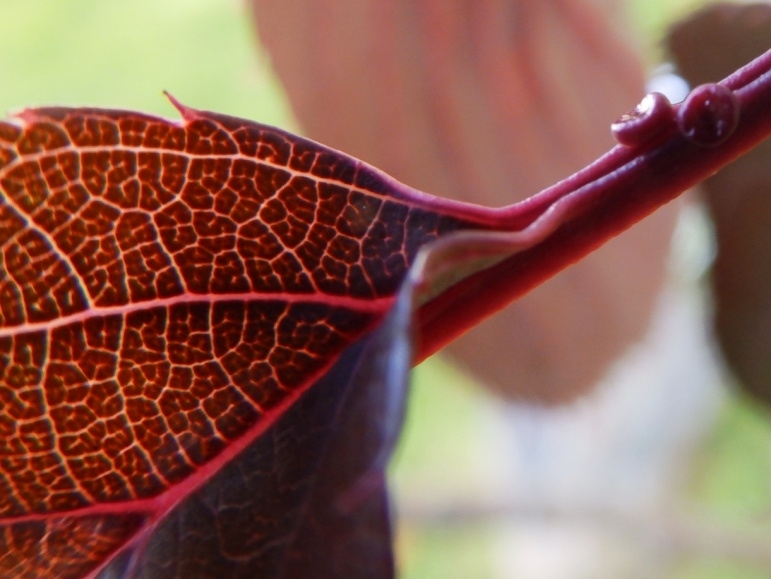 Another characteristic of cherries is that there are two small glands on the leaf-stalk. These are called nectaries. 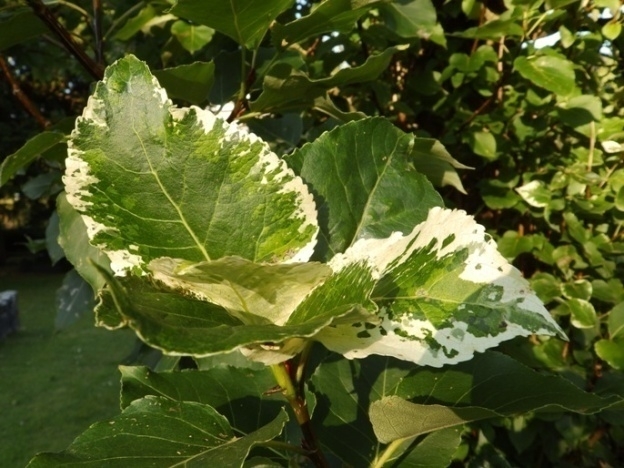 They tend to glisten when the tree is in flower and attract ants which help to combat leaf-eating insects. Leave the grounds of the Village Hall via the arch and follow the pavement to the left. 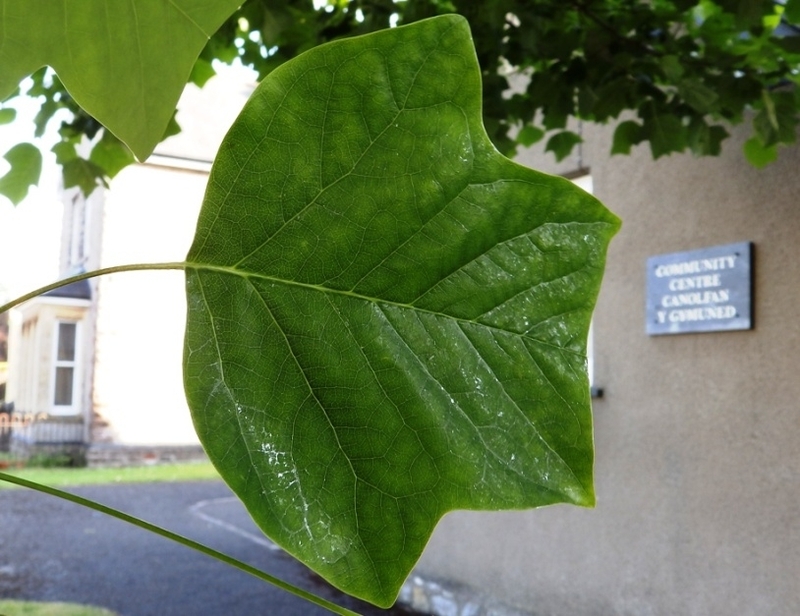 Across the road on your right and just outside the Community Centre is a Tulip Tree planted to mark the Millennium. These generally take about 25 years to flower so if we assume it was about 5 years old when planted we may see it in bloom around 2020. Just to its right is another Lawson's Cypress. Keep heading along the pavement. On your left just before the Village Shop is a Silver Birch. The bark is silvery white and with characteristic diamond and arrow shapes. As you pass the pub there are some fine mature trees ahead of you. On the right is a Purple Beech by the War Memorial and further on to the left a Horse Chestnut and a Sycamore. The Green also has a good mix of trees. At the front and overhanging the road is a Flowering Cherry grafted onto a Wild Cherry – you can see the enlarged trunk at the base. Just to the right of the telephone box is a small Gingko or Maidenhair Tree – one of the most ancient of trees dating back to Mesozoic times (from 252 to 66 million years ago - the Age of Reptiles). This is a male. 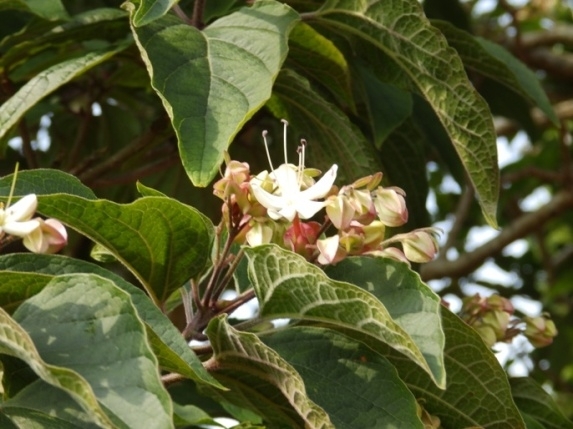 Females are seldom planted because the fruit smell pretty awful but you can see one in Roath Park not far from the Glasshouse. Stop by the Church Hall building. 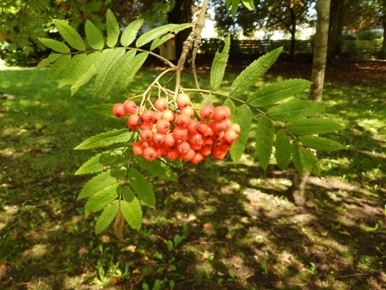 To the left of the bench is a Rowan – an Asiatic Rowan which has red shoots whereas the European Rowans have grey ones. Opposite here and just inside the garden of Ty Pica house is a Purple Norway Maple, probably a variety known as Crimson King. Now cross the main road and head into the churchyard. Immediately on your left with a large spreading trunk is a Yew, one of Wales’s ancient yews. It was considered old in the 1700s. Follow the path and on your left beyond the cross is a Poplar, the Balm of Gilead Poplar - very appropriate as there are 3 references in the Bible to Balm of Gilead and a great African-American spiritual is 'There is a balm in Gilead'. Then either side of the path branching to the left are 4 Hawthorns. 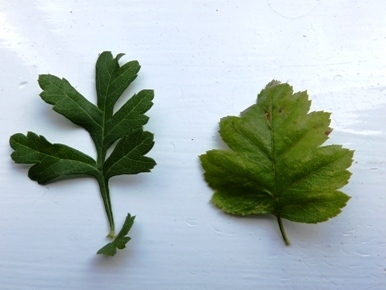 These are Midland Hawthorns which you can tell from the Common Hawthorn as there are two pips in the fruit or ‘haw’ (just one in Common Hawthorn) and the leaves are less deeply lobed (the cut is up to half way to the centre – in Common hawthorn it is at least halfway). Carry on along the main path until you reach some more yews. To the right and near the road are some yews with an upright shape. These are Irish Yews - also called 'fastigiate' because of the shape. Carry on along the path to a junction of paths and turn right towards a gate which takes you into the road, passing under some tall Sycamores. Once out on the road, turn left, noting at the entrance to Clos Llanfair a medium-sized tree with red leaves. 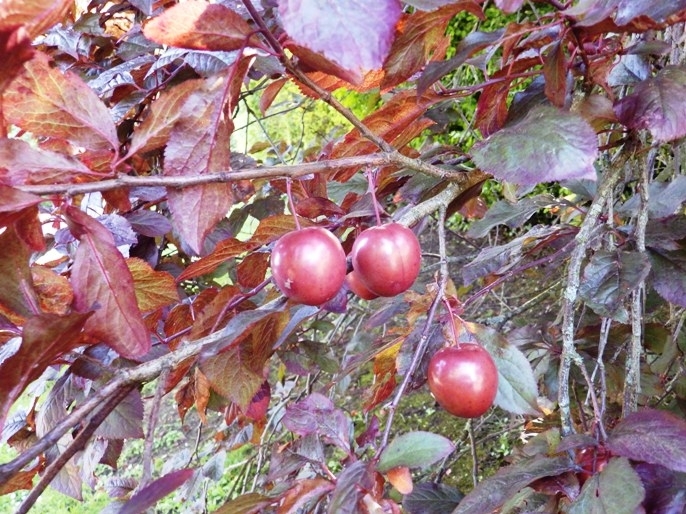 This has the common name of Purple-leaved Plum or Black Cherry Plum, one of the Myrobalan or Cherry Plum family. The Latin name is Prunus cerasifera Pissardii and this comes from a M. Pissard who was the French Head Gardener to the Shah of Persia. He sent the first purple-leafed plum back to France in 1880. Carry on up Walston Road and turn right into Wenvoe Close. 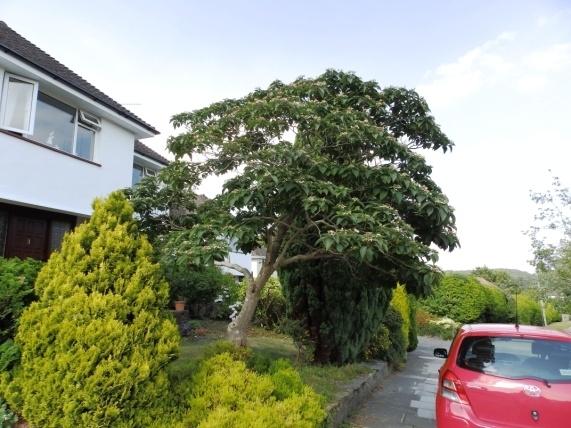 Near the bottom on the left and just before some garden conifers is an unusual tree, a Clerodendron. Look out for the metallic blue berries in early Autumn. Opposite and a bit further down on the right is a dark green tree with leathery leaves and in warmer years apricot-coloured fruit. 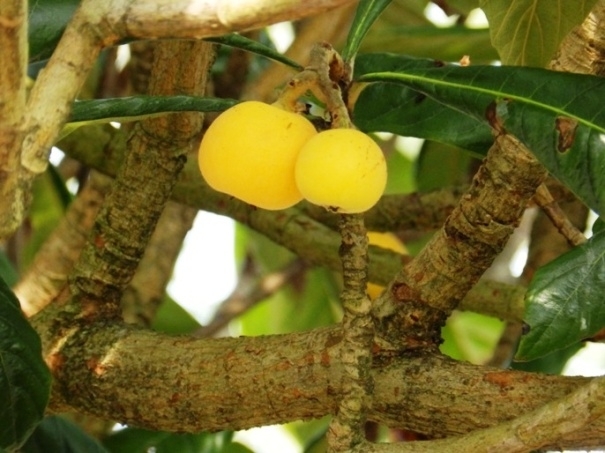 This is a Loquat. Just beyond here and on the patch of grass behind the library are 8 Whitebeams and one Spindle - look out for the smaller leaves of the latter. The Spindle trunks are also more 'spindly'. At the far end of the green patch is a Field Maple with smaller leaves than the Sycamore and you can check by taking off a leaf and looking for some milky sap. Retrace your steps up Wenvoe Close and turn right, continuing up Walston Road. After passing a couple of houses look out on your right for a tree in a front garden with very pale bark. 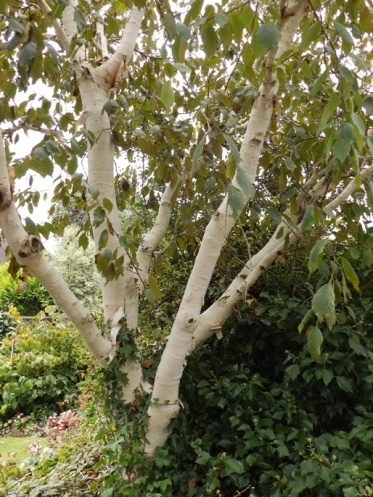 This is a Himalayan Birch and the variety is known as Jacquemontii. Next you reach a junction of roads with Pound Lane on your left. 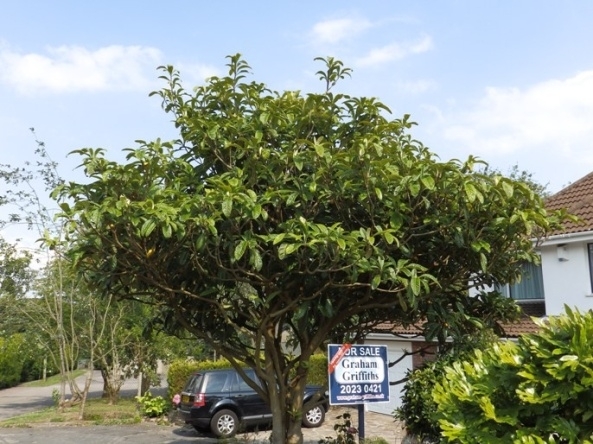 A small triangle of land between the access to Pound Lane has a surprising mix of trees. You can test your skills by seeing what you can find which should include Sycamore, Hazel (more of a bush than a tree), Yew, Whitebeam, Cherry and Purple Beech. At the far end is a Laburnum with sets of 3 leaves surrounded by some low-growing Lilac. We have not mentioned Ash so far but there is one here. 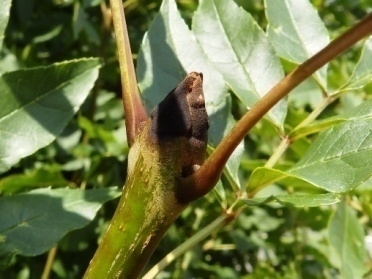 Look for black buds in winter and divided leaves with lots of leaflets. Now head towards the park down Grange Avenue. 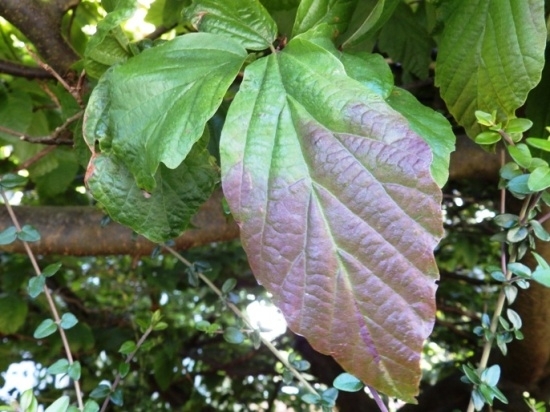 Immediately on your right and hanging over the hedge is a short tree with some multi-coloured leaves in early Autumn (see photo). This is Parrotia persica, more commonly known as Persian Ironwood. You can see a very good example in Clyne Gardens, Swansea. Next note the very large trees immediately on your right in the same garden which are Common Limes. At the bottom of the avenue on your right are 4 conifers. The first and third are Austrian Pines, the second a Norway Spruce and the fourth a Lawsons Cypress. Just to the left on the edge of the park is a London Plane with glossy leaves and 'pom-poms' hanging down prominently during the winter months. Look at the trunk which is quite 'knobbly'. Once you are in the park and just on the right is a small clump of trees consisting of a Rowan or Mountain Ash (with red berries), Silver Birch, 3 Cherries and 2 Apples. Grange Park itself once consisted mainly of Horse Chestnuts from which you get your conkers and Austrian Pines (the needles are in pairs). The Horse Chestnuts have wonderful flowering candelabra and bumblebees love the nectar. 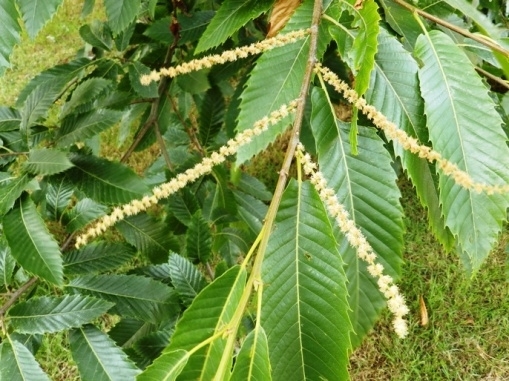 New plantings in recent years include the Sweet Chestnut and the first of these are starting to produce the edible fruit which you may have eaten as chestnuts. You should be able to find 5 of these. At the wide end of the park is a newly-planted Purple Beech. To its right you will see another Oak and to its right on the edge of the garden of the row of cottages is a Eucalyptus with waxy leaves. At the narrow end of the park the young Chestnut is an Indian Horse Chestnut with smooth conkers. This trail has been produced by the Wenvoe Wildlife Group. We have not described all the trees you passed and there are other interesting ones elsewhere in the village which we may include in a second tree trail in the future. Our thanks to Tony Titchen, dendrologist, for help in identifying the trees.